Born in Nagoya, Japan, Yuriko Kajiya began her training at the age of eight. At ten, she moved to China and became one of the first foreign students to study with and graduate from the Shanghai Ballet School on scholarship. During her stay in China, Ms. Kajiya performed many times on Chinese national television. In 1997, at 13, Ms. Kajiya won the Best Performance Award in the senior category at the Tao Li Bei National Ballet Competition. In 1999, she became one of the youngest finalists at the Third International Ballet Competition in Nagoya. In January 2000, she won the renowned Prix de Lausanne Scholarship which enabled her to study at the National Ballet of Canada School in Toronto. Ms. Kajiya starred in the 2007 documentary Passion Across a Continent in Japan. It aired on channel MBS becoming hugely popular having the highest ratings in this television series. She also appeared on the Tokyo Talk Show and presented the American Ballet Theatre documentary Dancers. She has performed as a guest in Japan dancing Odette in Swan Lake, Act II and A Midsummer Night’s Dream, as well as appearing in galas at the West Virginia Dance Festival, Santa Fe Festival, Chicago Dancing Festival and at the Hopes and Pride Gala of Japan. Ms. Kajiya joined American Ballet Theatre’s Studio Company in September 2001. She became an apprentice with the main Company in 2002 and, in June of that year, joined ABT as a member of the corps de ballet. She was appointed a Soloist in August 2007. 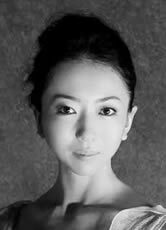 Ms. Kajiya’s repertoire includes Gamzatti in La Bayadère, Blossom in Cinderella, Gulnare inLe Corsaire, Kitri, Amour and a Flower Girl in Don Quixote, Zulma and the peasant pas de deux in Giselle, Valencienne in The Merry Widow, Clara in Kevin McKenzie’s The Nutcracker, Clara in Alexei Ratmansky’s The Nutcracker, Henrietta in Raymonda, the Fairy of Joy and the Fairy of Fervor in The Sleeping Beauty, the pas de trois in Swan Lake, the Waltz in Les Sylphides and leading roles in Ballo della Regina, Birthday Offering, Brief Fling, Désir, Diversion of Angels, In the Upper Room, The Leaves Are Fading, Overgrown Path, Petite Mort, Seven Sonatas and Theme and Variations. She created a leading role in Dumbartonand one of The Nutcracker’s Sisters in Ratmansky’s The Nutcracker. Ms. Kajiya has taught Master Classes for the David Howard Foundation and Dance Project New York. She continues to teach master classes and lecture demos in the United States and across Japan.